Acting REANNZ CEO Gerrit Bahlman told Parliament's economic development, science and innovation committee last month that negotiations with the universities resulted in them rejoining and new operating contracts are being negotiated. "That will be concluded in the first quarter of next year. So, they’re back in the family again," Bahlman is reported as saying in an uncorrected transcript. Bahlman said efforts to cut costs within IT at the universities led to the defections. However, research communities within the universities were not included in the decisions. "They were seeing an opportunity to optimise the costs from the perspective of the IT budget, and that attempt to try and find an alternative way of delivering that sort of service is what drove them," he said. "It was really for them about how do you save money, how do you optimise costs." Perceptions about network use and speed and their impact on costs appear to have prompted the universities to break away, Bahlman said. But they have now "re-understood" the need and the importance of being part of REANNZ. Technical tests using large data sets at one rebel university, Victoria, had failed on commercial platforms, Bahlman said, because commercial ISPs "will try and fill their pipes up". "They will do that by getting as much traffic onto it as they can using multiple point connections and so on," he said. "What the REANNZ network provides is a direct, open-pipe link, with a capability to deal with large lumps of data." The other universities that abandoned REANNZ were Canterbury and Lincoln. Bahlman said perceptions around the word "speed" were deceptive, because REANNZ talks about real speed, not apparent speed or "marketing claims" about speed. REANNZ' services had become less commercially viable over time as the prices of internet in New Zealand dropped, he said. However, the new Hawaiki Cable will help reduce network costs. 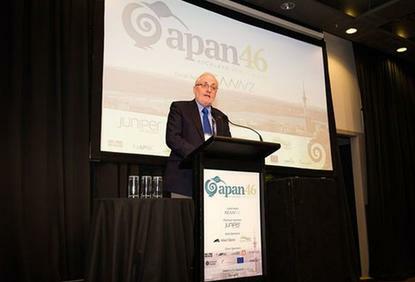 "Where we are now, especially with Hawaiki, is that we are going to be able to address that issue of cost-effective commercial internet over Hawaiki," he added. "It will be possible for REANNZ to offer a service that will provide the community with the benefits that they want from it." Asked about the potential to use 5G wireless technology, Bahlman was succinct: "5G is not high-speed. Not in terms of what REANNZ can do." In total, 46 organisations use REANNZ, including eight universities and seven Crown Research Institutes.